Having a bachelor’s degree in pharmacy and spending six years in the pharmaceutical industry enabled me to better realize the agony and the trauma that patients face in their daily lives. Having a more comprehensive understanding of the patient journey gave me the opportunity to reduce the disease burden of so many people through my biologic medicine career. My professional journey at Eli Lilly was enriching having worked in critical therapeutic segments such as cardiovascular, diabetes, orthopedic, and immunology. It also allowed me to interact with leading health care professionals which helped me better understand their needs and expectations from a pharma marketing perspective. This intrigued me enough to make a transition from sales into marketing. I believed an MBA degree at that point in my career would bridge the gaps in my marketing knowledge and assist me in making that transition. As an international student, I was skeptical about visiting a new country for my academic endeavors. Coming to the United States for my MBA was exciting but it was a big challenge to embrace the new culture. 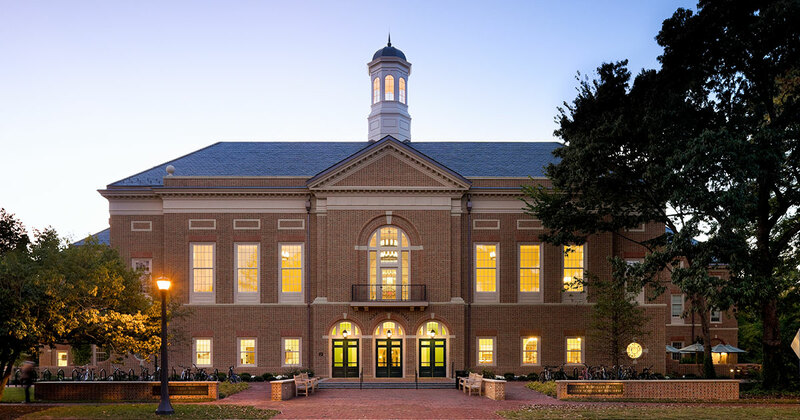 When I came to William & Mary, I prioritized what I expected to gain from my MBA, specifically having a holistic approach to develop my professional behavior and abilities. Our cohort has great diversity, with people from different backgrounds working hard to realize their career dreams and aspirations. We all have come to William & Mary with different expectations and priorities. My suggestion to you is to follow your own distinctive path and own your journey. Pursuing what excites you will help you gain the most out of your MBA. Recently, I was privileged enough to receive an opportunity as a Marketing Intern at my dream pharmaceutical company, Sanofi Genzyme, based out of their headquarters in Cambridge, MA. I played on my strengths and past professional experience by applying to pharmaceutical and consumer marketing jobs because I knew these employers would be interested in looking at my qualifications. I believed it was not the number of applications I submitted but the quality of those applications that mattered most. I closely read the job description on the companies’ websites, and tweaked every single cover letter and my resume accordingly to help me garner extra attention from prospective employers. I purposefully projected my experience of working in the immunology sector to gain extra mileage in Sanofi’s interview process and it paid off! I am excited for the most beautiful chapter of my MBA journey to unfold and I am sure these two years at William & Mary will be some of the best years of my life and the place where I made lifelong friends. Praveen Nigam is an MBA candidate with the class of 2020 at William & Mary’s School of Business. A native of Mumbai, India, he earned his Bachelor of Pharmacy from Jaipur National University in 2012 and spent almost four years in pharmaceutical sales at Eli Lilly before pivoting to a career in marketing.